NHL Alumni Alex Tanguay and Paul MacLean, the Cape Breton Screaming Eagles, The Trews, Michael Lloyd Band, Jesse McGillivary, The Men of the Deeps and more! THE COAST WILL BE BROADCASTING LIVE FROM 1-5PM ON SATURDAY AND SUNDAY! Rogers Fan Hub: Rogers celebrates your community within the Fan Hub. Help support local minor hockey and participate in fun and interactive experiences, autograph signings with NHL alum Alex Tanguay, video game stations, bubble hockey, and popcorn! 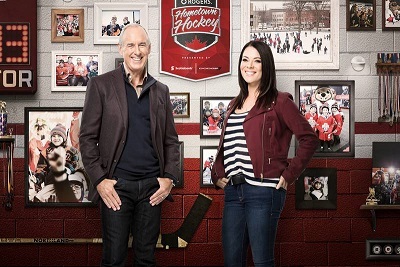 Scotiabank Community Hockey Rink: A family-friendly outdoor hockey space to engage hockey fans, interact with NHL alum Paul MacLean, celebrate the game and play ball hockey. Scotiabank will also be donating $15,000 to minor hockey associations in the community. Live Local Entertainment: Live music featured throughout the weekend beginning with Michael Lloyd Band performing on Saturday followed by Jesse McGillivary and The Men of the Deeps on Sunday.